Can Hangouts Chat compete with the likes of Slack and Teams? Google is officially taking Hangouts Chat out of beta and making it publicly available as a core feature of G Suite. Hangouts Chat is Google's interpretation of team / group communications and seeks to take on the heavy hitters such as Slack and Microsoft Teams. While Hangouts Chat has a similar concept to Slack, Google is looking to leverage its strengths in artificial intelligence to differentiate itself from the competition. For example, there is a @Meet bot that can schedule meetings and a @Drive bot that keeps track of file access in Google Drive. Additionally, developers can create their own bots to integrate their own services into the platform. 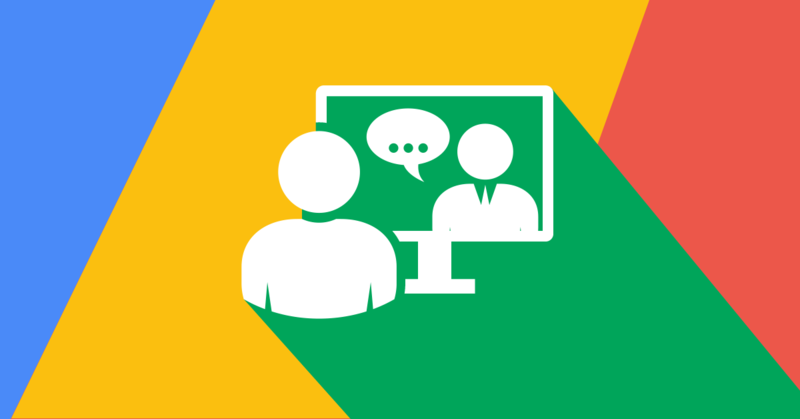 With Hangouts Chat being deeply integrated into G Suite, there is also the ability to start Hangout video conferences, upload files to Google Drive and collaborate across documents, spreadsheets and presentations. Each Hangout Chat "room" can accommodate up to 8,000 users and supports 28 languages. Advantages in AI and established services will give Google more room to compete. Because Hangouts Chat is part of G Suite, companies who already leverage the platform won't have to pay extra. In fact, Google already has convinced many companies including RingCentral, Kayak, Xero and even Giphy to create their own bots for Hangout Chats. There's even a bot for Jira and Trello, tools made by Atlassian who is competing with Google with their Stride offering. If you're a G Suite user, look for Hangouts Chat to roll out in the next seven days.